Net Entertainment is one of the leading software brands in the online gambling industry. NetEnt boasts a diverse catalogue of visually stunning pokies and table games, with a strong commitment to continuously updating their titles with the latest technology. With new games constantly in the works, a new and exciting creation from NetEnt is never far away. We take a look at the software provider and the extensive range of games on offer. Net Entertainment was founded in 1996 by a Scandinavian land based casino which offered software for video pokies and table games in the brick and mortar casino arena. With main operations running out of Sweden, NetEnt’s in-house studio holds the distinction of being the first to develop games using Java technology. In 2000, the company moved online offering real money casino games at a NetEnt exclusive casino. By 2006, NetEnt underwent a huge restructuring to focus solely on providing software development for other online casino sites. NetEnt games can now be found at a majority of the world’s leading Internet casinos, including GdayCasino.com with many players favouring these games for their high quality graphics, innovative designs and fun bonus features. 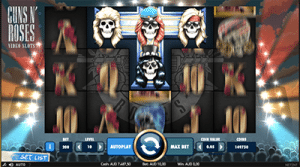 In 2011, the studio launched NetEnt Touch – mobile casino software designed and optimised for Android and iOS mobile devices and tablets. This was a huge step forward, with NetEnt games now being accessible directly over mobile web browsers for real money play on the go. By 2013, the first Net Entertainment live dealer games were launched and continue to soar in popularity today. Net Entertainment boasts a large catalogue of diverse casino software, ranging from the pokies to table games, and many others in-between. You’ll find staples like blackjack, poker and roulette, along with a variety of of bingo, keno, scratchies, video poker, and a few niche mini-game titles. The release of some ground-breaking new games including the NetEnt rock trilogy in 2016 have left gamers excited about the possibilities to come. Mega Fortune: Mega Fortune is NetEnt’s equivalent to Microgaming’s popular Mega Moolah progressive jackpot pokie. Featuring 5 reels, 25 paylines and one of the largest cash prize pools of any online progressive title – regularly hitting around the $4 million AUD mark. There are also two extra local jackpots to win from, along with a ton of scatter symbols, bonus rounds and free spins. In 2013, Mega Fortune made the Guinness World Records for the highest ever online jackpot – a cool AU$26,302,519. Arabian Nights: A video pokie with 5-reels and 10 paylines, this title is a prominent NetEnt title thanks to its fun and exotic template featuring Wild and Scatter symbols, as well as free bonus rounds. 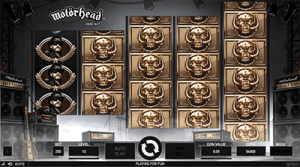 Hall of Gods: A 5-reel triple-jackpot Internet title rivalling Microgaming’s Thunderstruck, this game is centred on the theme of Norse mythology, including characters such as Odin and Thor. When it comes to online pokies, NetEnt is arguably the king. The provider consistently produces high quality creations with creative themes which are always visually stunning. While NetEnt has plenty of unique games under its belt, collaborations with other big names like Universal Studios has also seen the brand release some licensed pokies like the Universal Monsters collection, which includes Dracula, Creature from the Black Lagoon, and Aliens. You can find these games at our top recommended online casinos including G’day online casinos. Roulette – European Roulette, American Roulette, Roulette French, Roulette Advanced, French Roulette High Limit. Video Poker – All American Multi-Hand, Deuces Wild Multi-Hand, Jacks or Better, Joker Wild Multi-Hand. 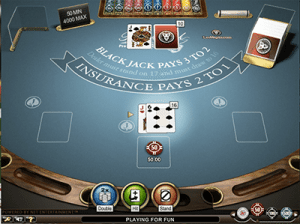 Other table games – Baccarat Pro, Caribbean Stud Poker, Casino Hold’em, Oasis Poker Pro, Red Dog, Punto Banco Pro, Texas Hold’em. NetEnt also offer a wide range of live dealer titles which stream a real croupier directly to your screen in HD quality.